I have once again escaped to the Austral summer in Argentine Patagonia, returning as usual to the town of El Chalten. 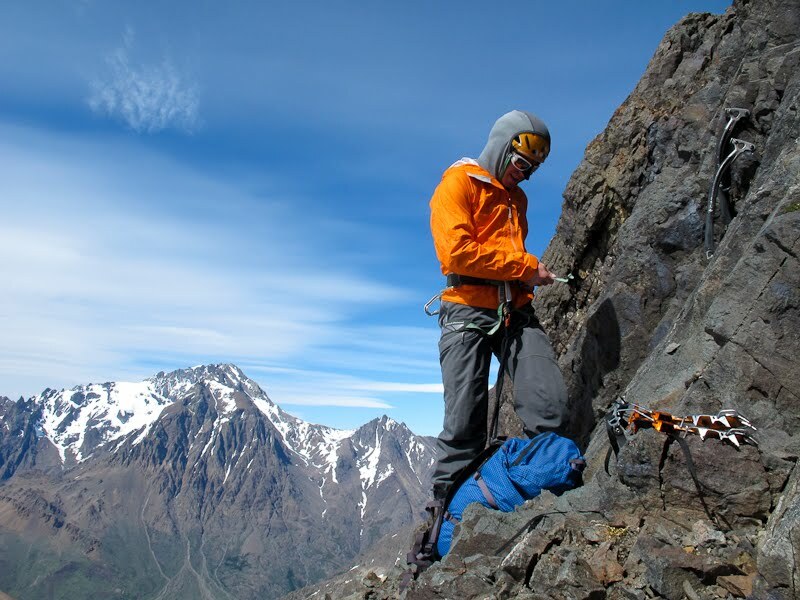 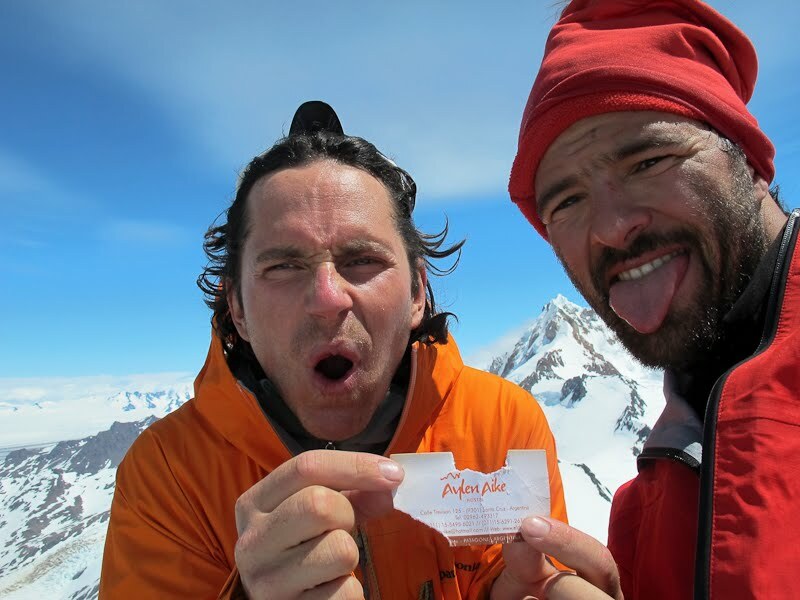 The nature of Patagonian alpinism continues to evolve at a rapid pace. 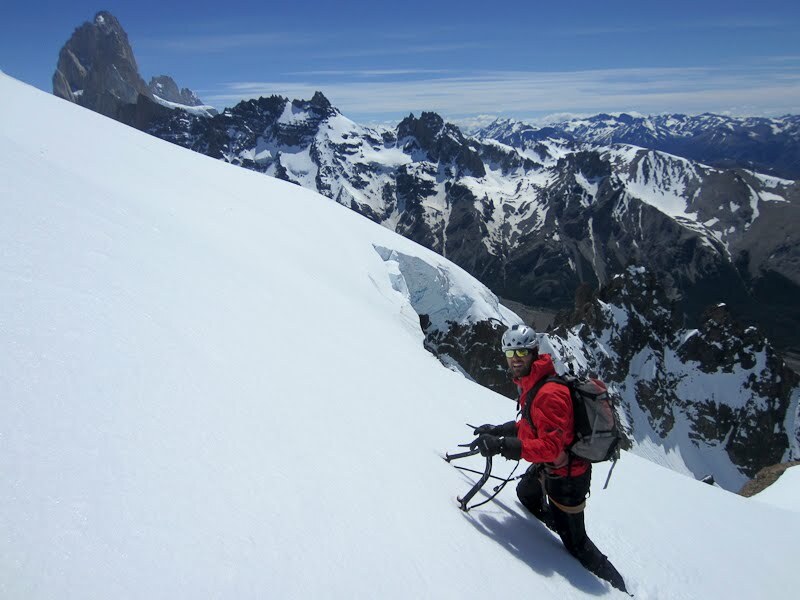 The availability of reliable weather forecasts and route information (in particular, the publication of the massif's first guidebook, by Rolando Garibotti), combined with a large number of very good climbers always on hand, has turned once-legendary routes into commonplace routes. 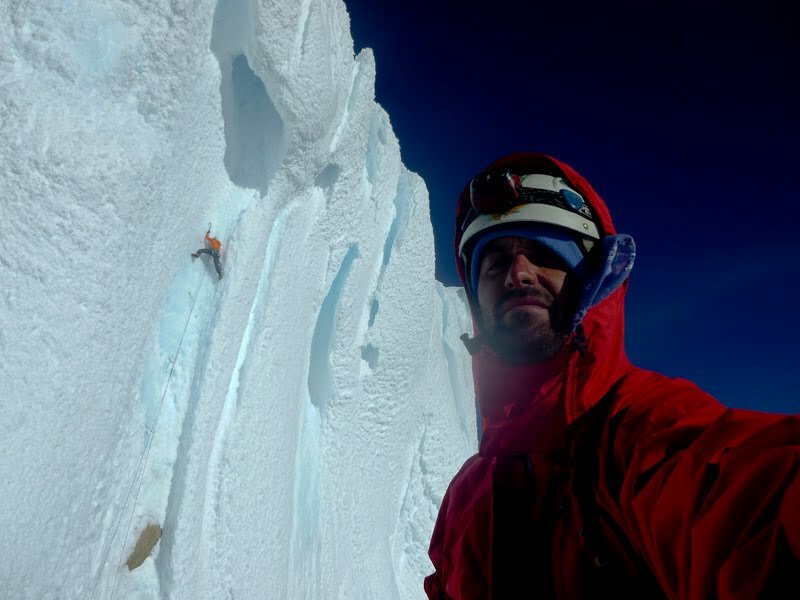 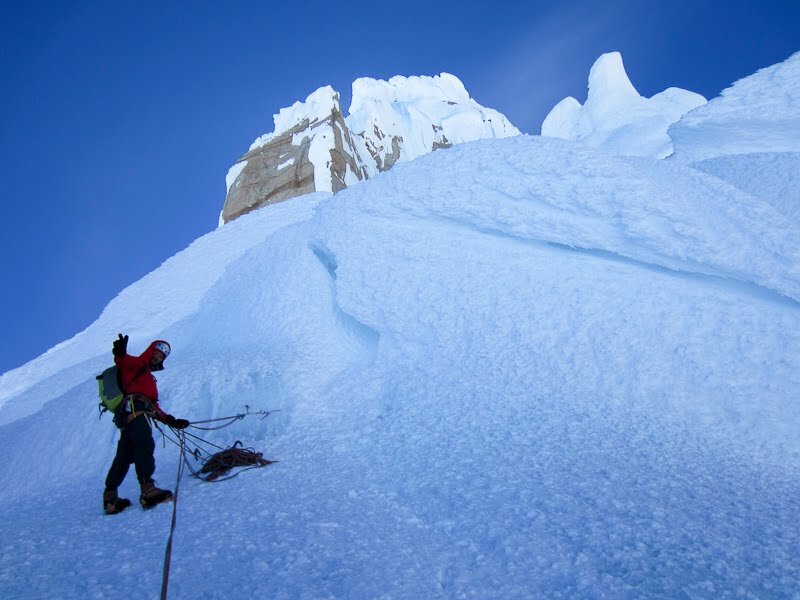 The Ragni Route on the west face of Cerro Torre, for instance, is quickly becoming Patagonia's version of Le Ginat or Colton-MacIntyre. 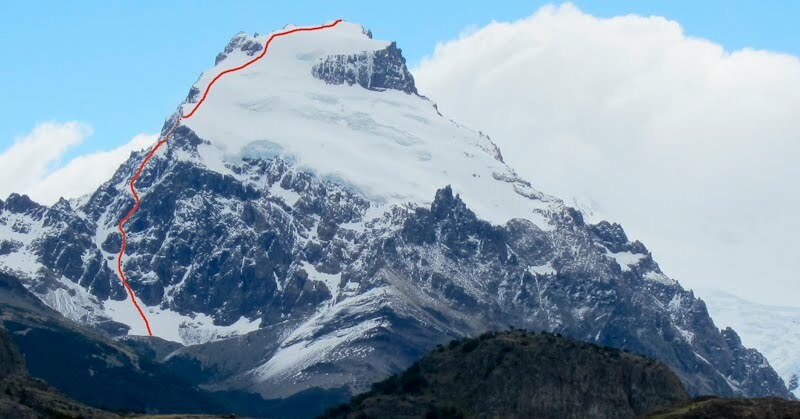 With much longer approaches, and steeper, larger peaks, the Chalten massif will never be quite like the Alps, but it is certainly evolving in that direction. 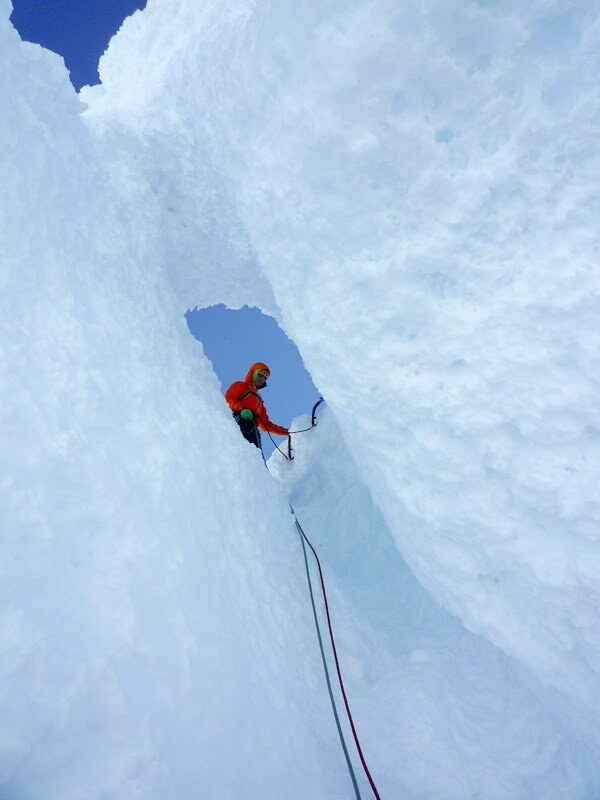 The most notable change this season in particular, is in the ice conditions. 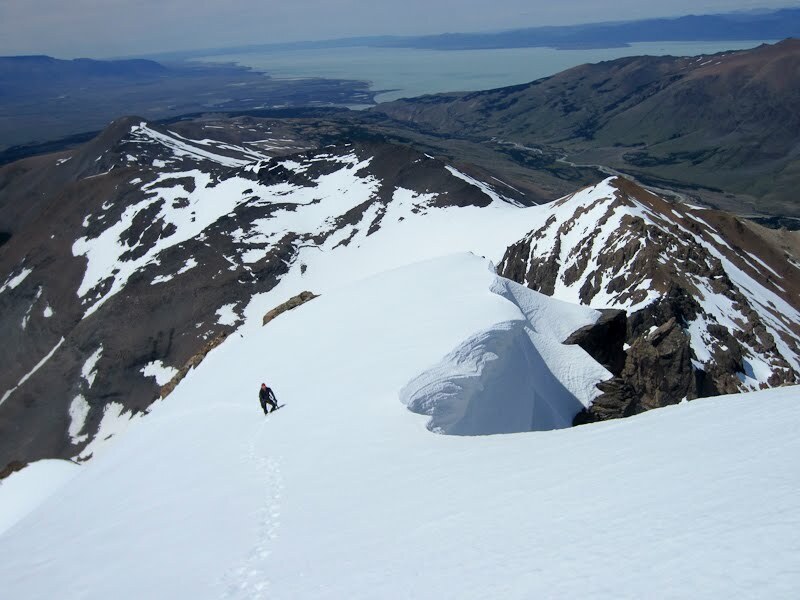 The very hot, dry Austral summer of 2011-2012, combined with a relatively dry winter, has left the peaks in very dry conditions. 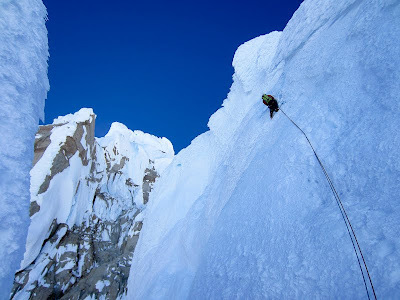 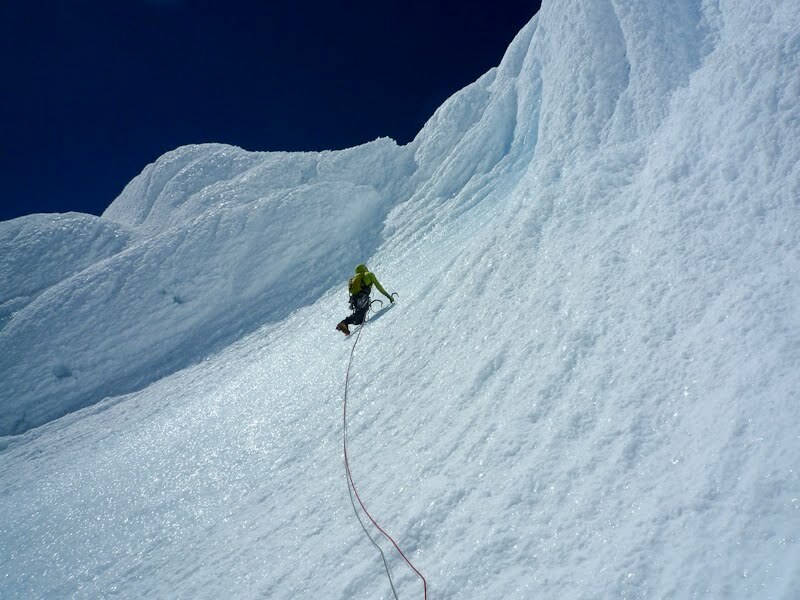 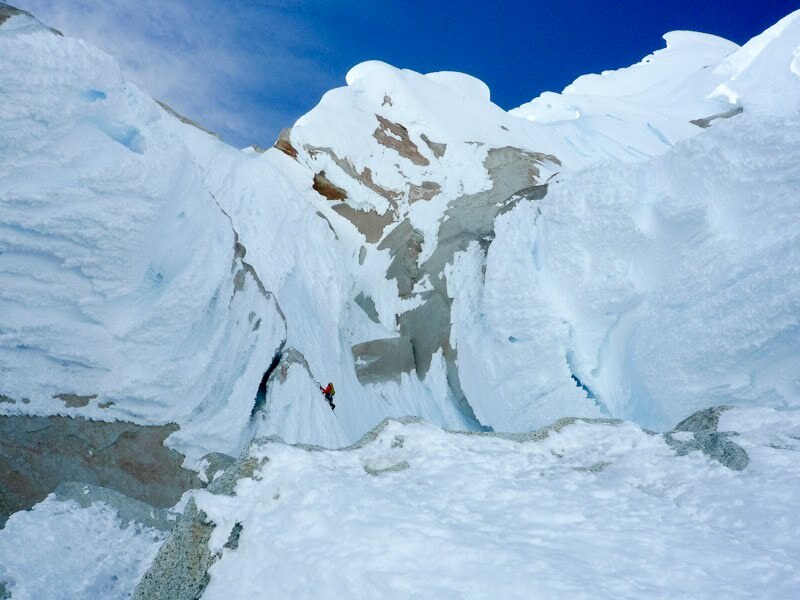 Fitz Roy's Supercanaleta was already melted-out by early November, and the Ragni Route on Cerro Torre currently involves almost zero rime climbing. The glaciers, and the Torre Glacier in particular, continue to ablate at a rate much faster than I've personally seen anywhere else in the world. 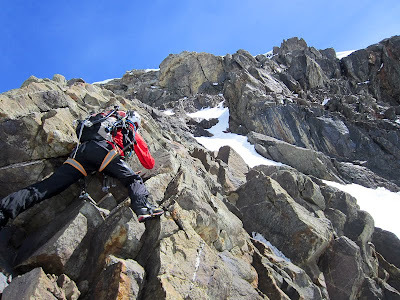 As for me, I've been here almost three weeks now, but because of the various variables in alpine climbing, I've done a lot more hiking with heavy backpacks than I have alpine climbing. For the past couple weeks I've been partnered with the suave Italian metrosexual hipster, poet, culinary artist and alpinist, Andrea Di Donato. 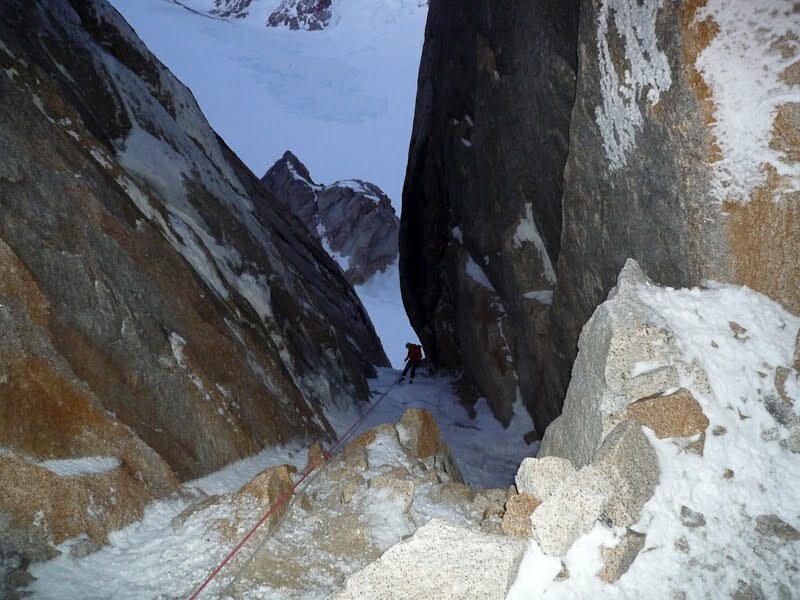 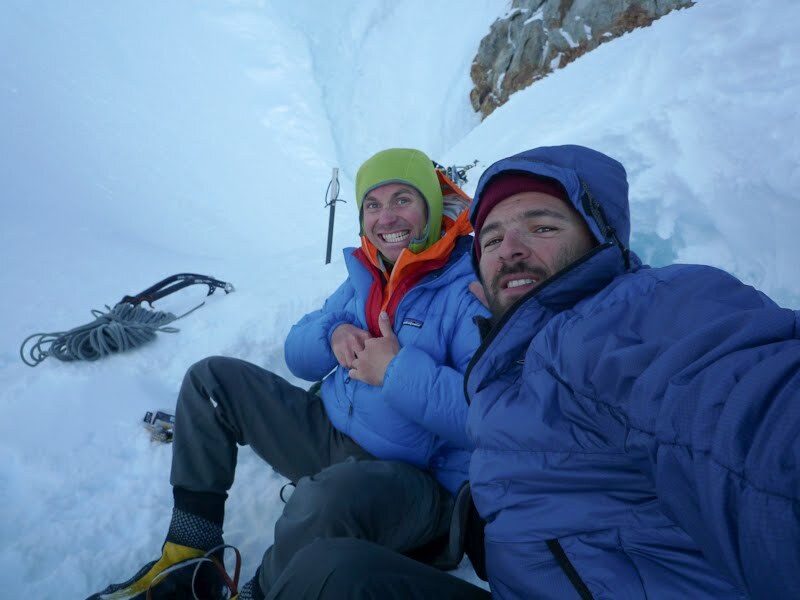 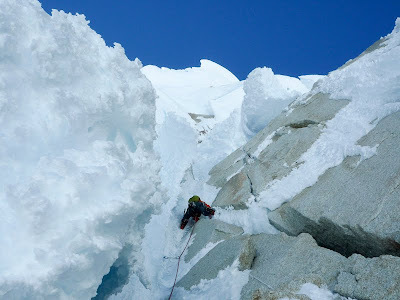 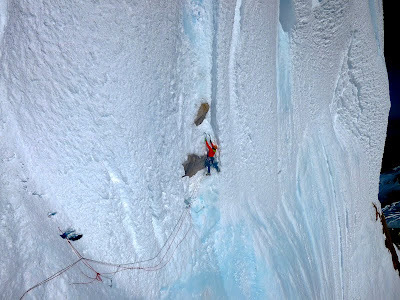 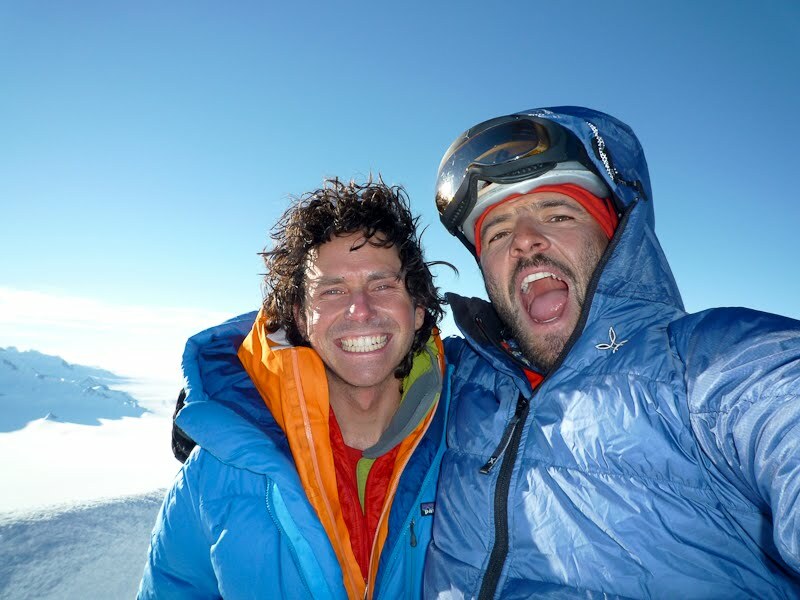 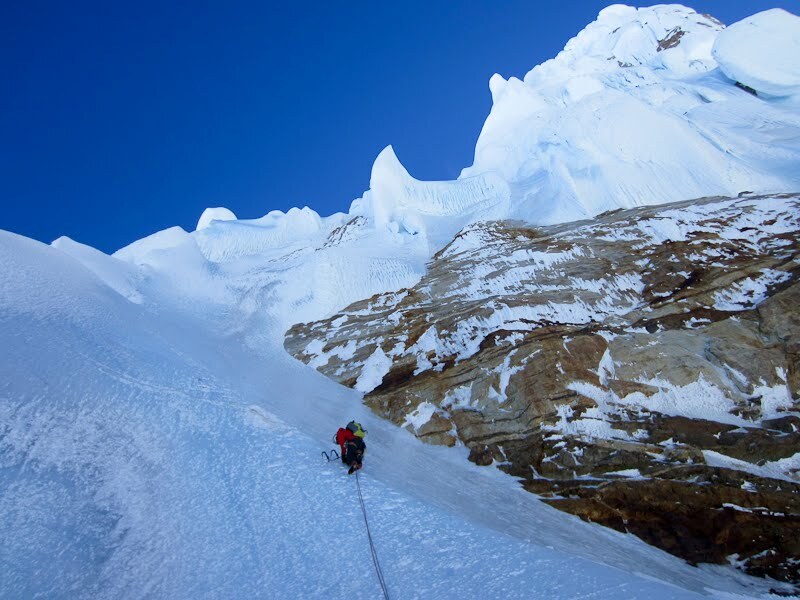 On a day with decent weather, but not a long enough period for climbing a more serious route, Andrea and I climbed Cerro Solo's southwest face, by Insomnia, a route established last year by local climbers Juan Manuel Raselli and Ignacio Teerink. 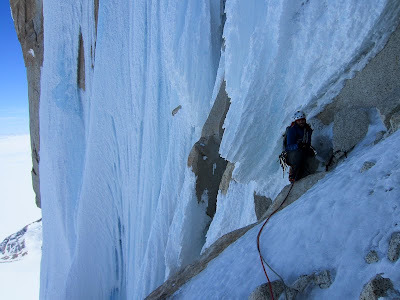 Insomnia is an example of a trend which I'm sure will continue, of first ascents of moderate classical alpine terrain. There are many mountains in the Chalten massif which have been largely ignored for decades, overshadowed by the Torres and Fitz Roy, but are equivalent to the coolest, most spectacular peaks in The Cascades. Finally, last Wednesday, I got to do some of the climbing that I come here for, when Andrea and I made an ascent of Cerro Torre's Ragni Route. 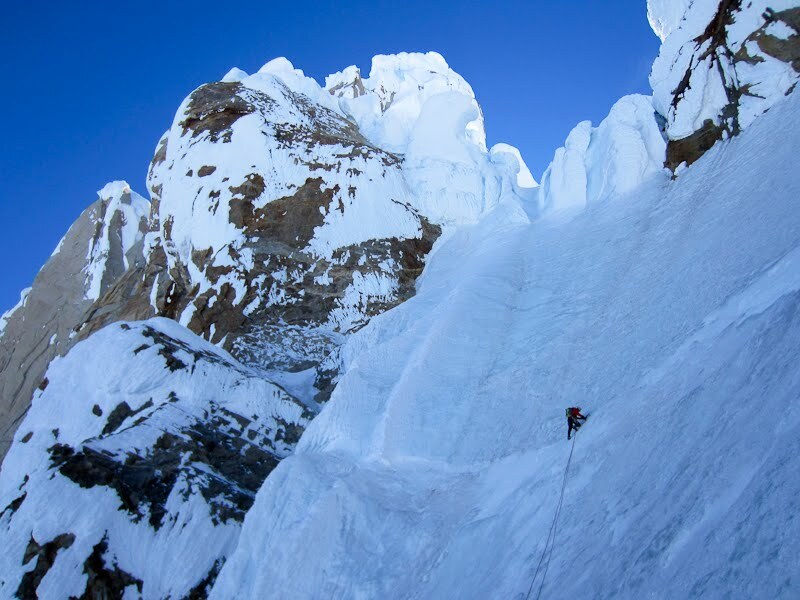 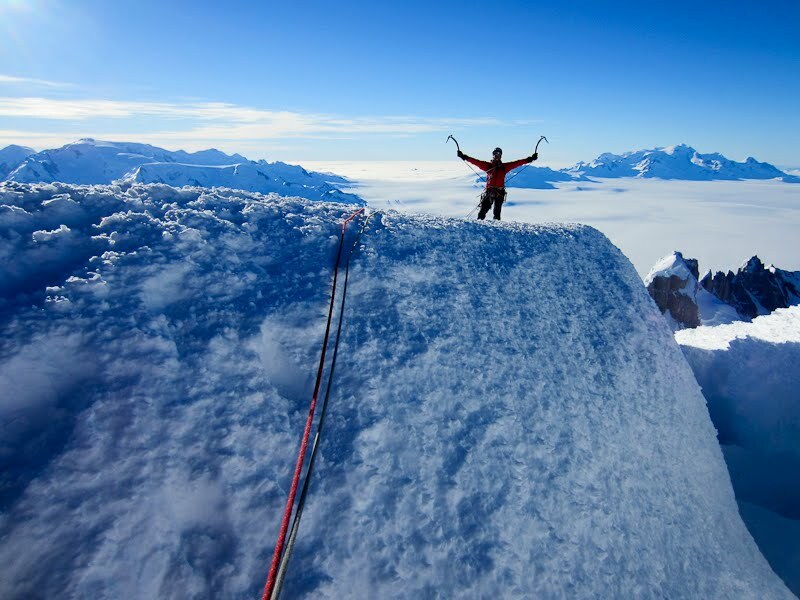 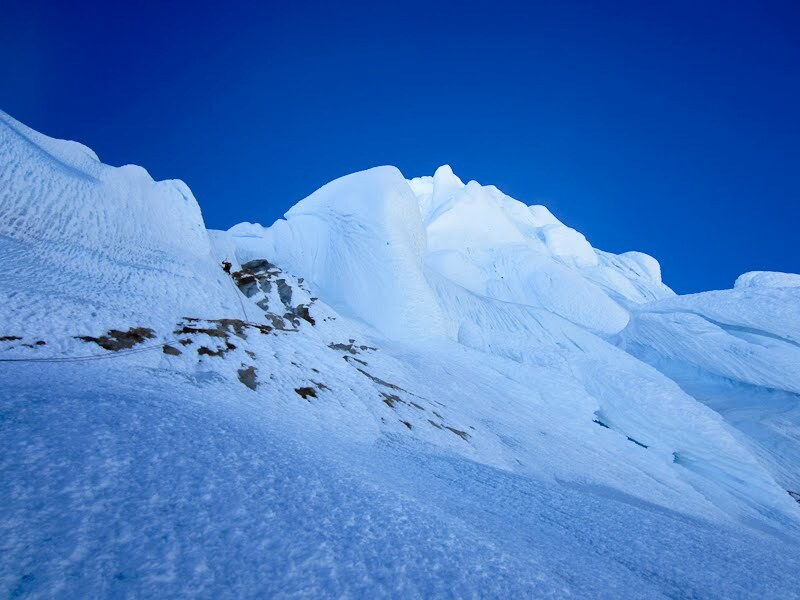 It is a climb that I had done before, but I honestly believe it is the most spectacular ice climb in the world, so certainly a route worthy of repeating! 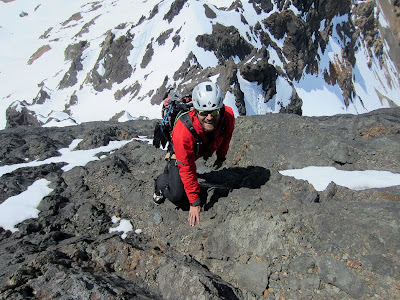 We chose to do the climb as a day-trip from the Niponino bivouac in the Torre Valley, approaching via the Standhardt Col, and descending via the Southeast Ridge. We left Niponino at 3:00am on the 28th, and with very good conditions on the approach, managed to arrive at what I would call the base of the route (150m below the Col of Hope) at 8:00am. 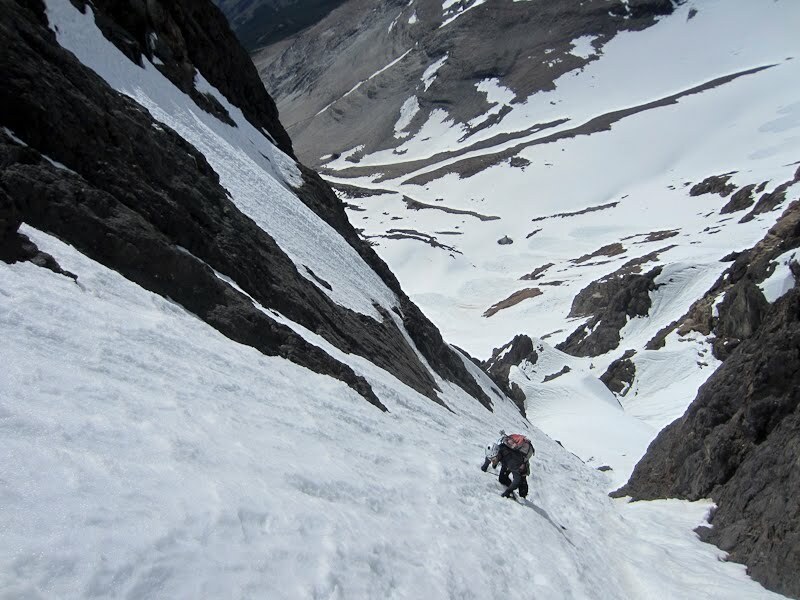 We took a nice relaxing rest stop to melt snow, and finally starting climbing at 10:00am. Andrea took us to the top of The Helmet, and then I led from there to the summit. There were three parties ahead of us on the route (I told you it's turning into the Colton-Mac! ), but it wasn't a problem. 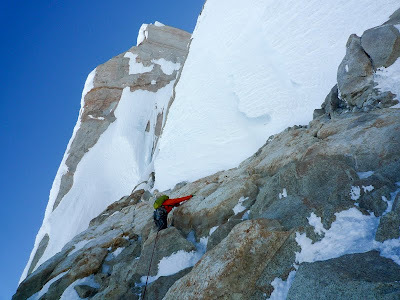 The final, crux pitch of the route did not require any rime digging or tunneling in the current conditions, but because it was a hot day, and because we arrived at the last pitch late in the afternoon, it was melting in the full sun. If it were frozen I could say that it is in much easier condition than normal, but in it's slushy state I felt it was just as serious as the other times I've led the pitch. I was told that the ice screws I placed were pulled out by hand - yikes! At 7:50pm Andrea and I arrived on the summit, almost 17 hours after leaving Niponino, and after a quick reorganization we started the long, and perhaps foolhardy nighttime descent of the Southeast Ridge. Patagonia is a master's class in alpine rappelling, and I feel I might have earned my degree by now, as leading endless rappels all night by headlamp is starting to feel pretty standard! We were back on the glacier shortly after first light, and stumbled back into Niponino 29.5 hours after leaving.